How to increase synovial fluid in our body? 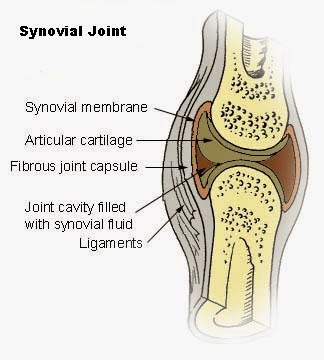 Normally the synovial fluid works like oil for the knee and makes the movements smoothOsteoarthritis (OA) starts as the lack or loss of this articulate (surface) cartilage and then progresses into involvement with the surrounding bone, tissues, and synovial fluid. One of the risk Factors overuse or under use of the joints. Nonsurgical management starts with weight loss and muscle strengthening. Each pound of weight can putup to 6 pounds worth of pressure on the knee joint during activity. Thus people of a larger size tend to develop arthritis at an earlier age and to a greater severity than their slim counterparts. Exercises that will increase quadriceps, hamstring and calf strength include ¼ squats, leg press and leg extension. These exercises should be pain free and done with limited flexion or bending of the knee, not greater than 45 degrees. In addition to these focused strengthening exercises cardiovascular exercise such as cycling, elliptical, rollerblading, and swimming will also be beneficial. Strengthening exercises should be done at least 3x/week to build muscle strength.